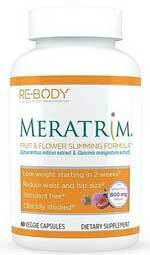 Meratrim is a natural weight loss supplement composed of two herbs. It has the advantage of being totally free of stimulants and several scientific studies show the combination can reduce existing body fat and prevent the formation of fresh fat cells. Although Meratrim has been available for quite some time the compound, somewhat incredibly never received much attention until the US TV show host and health and fitness expert Dr. Oz stepped in and gave it a marketing push by featuring it on one of his shows. Oz first became aware of Meratrim when he read an article about it in the Obesity weight loss journal and he described it as a ‘groundbreaking new supplement’ and stated its use could triple weight loss. Meratrim is the result of a group of researchers’ desire to create an effective weight loss aid. They began growing fat cells in test tubes and then introduced a variety of different herbs to see what effects the herbs may or may not have on fat cell growth. (sphaeranthus indicus and garcinia mangostana) possessed superior fat inhibiting abilities so they combined the two in a 3:1 ration to create the blend we now know as Meratrim. Sphaeranthus indicus (East Indian globe thistle): Credited with a variety of medicinal uses, sphaeranthus indicus has a long history of use in Ayurveda medicine and has been used to treat a variety of ailments including skin disorders and digestive problems. Garcinia mangostana (purple mangosteen): Often just referred to as mangosteen, garcinia mangostana is a tropical evergreen tree that is believed to have originated in Indonesia. The fruits are edible and a popular food in the areas where they are available, but are not particularly nutritious. Mangosteen has, however, proved useful as a traditional remedy for some illnesses including urinary tract infections and dysentery. The amount of Meratrim used in studies has never exceeded 800mg (2 x 400mg) a day, so it would be ill advised to exceed this dose because it is not known how the body may react to higher amounts of Meratrim. The first 400mg dose should be taken half an hour before breakfast and a second 400mg dose of Meratrim should be taken half an hour before lunch. 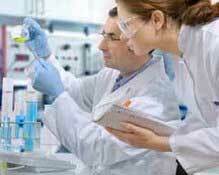 Meratrim has been the subject of several scientific studies and the compound has produced some very promising results. 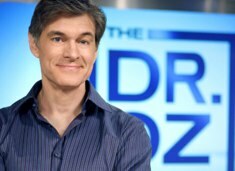 When Dr. Oz first heard about Meratrim, via Obesity magazine, and read about previous tests he decided to enlist the help of 30 volunteers from his studio audience and conduct his own independent testing of the product. Oz gave the supplement to 30 women, who took the supplement twice a day for a period of two weeks. He told the volunteers not to eat more than 2,000 calories a day and recommended they should walk for 30 minutes a day for at least five days of the week. After the end of the two week test period the average weight loss was 3 lbs. per person and the volunteers had also lost an average of 3″ from their waists. One volunteer stood up during Oz’ show and admitted she hadn’t found the time to fit in the recommended periods of walking, but stated she had still managed to lose 3 lbs. 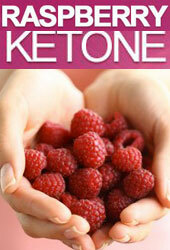 in weight and 4″ from her waist and said she found it very easy to do. A second volunteer, who did follow Oz’ recommendation exercise routine, said she lost 7lbs. in weight and 1 ½” from her waist. Meratrim is a simple blend of two natural ingredients, neither of which have a reputation for causing side effects, so most people who use the supplement in the recommended manner and don’t exceed the 800mg daily dose should be able to use the product without issue. Pregnant and nursing mothers should consult a healthcare professional before using Meratrim or any other form of weight loss regimen. Potential users who have any health issues or concerns are also advised to seek medical advice prior to use. Meratrim offers dieters a safe and easy way to manage their weight and shed unwanted pounds. 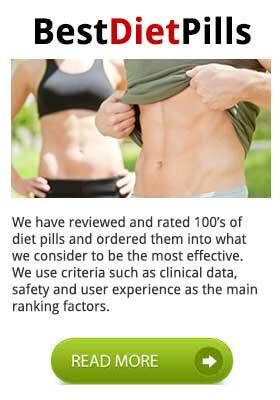 Most of the tests done on the product have been conducted on female test subjects, but there is no reason why the compound should not provide comparable weight loss results to male dieters. Dr. Oz’ strong endorsement of the product has caused a number of diet supplement manufacturers to jump on the Meratrim bandwagon and produce Meratrim products and/or products that contain the compound, but some of these are better than others. Potential users should bear in mind Dr. Oz did not endorse any particular product or brand, just the Meratrim compound, and he recommended only products that contained 100% Meratrim. This is good advice because all existing tests have been conducted on 100% Meratrim, taken twice a day, and never exceeding 800mg a day. The premium brand is the original Meratrim 100% Pure and available to buy from the Vitamin Shoppe. Order can be placed either with credit card or Paypal – shipping is worldwide including the US, Australia, Canada and the UK. The Vitamin Shoppe is one of the largest retailers of health supplements in the world.